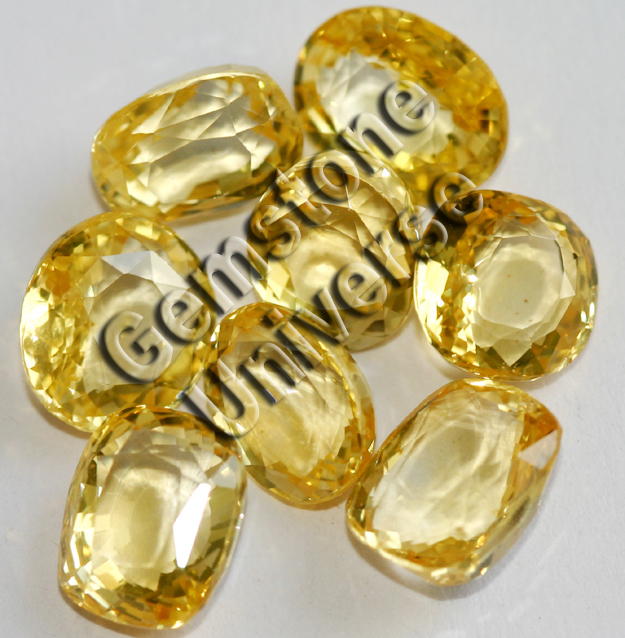 Today we have acquired a lot of fully Natural, Unheated Yellow Sapphires. All of these beauties have an IF clarity rating and represents the best of Golden colour. Fortunate to get hold of this color without any treatment. Each of these gemstones is 3+ carats and represents the best of Jupiter energies. This lot would be uploaded to the Yellow Sapphire section on the website as soon as the process of certification and classification is over. Expect to see these wonders in around 2 week’s time. Sacred Texts talk about exceptional Yellow Sapphires to have a Swarna Aabha ( A golden hue) and go on to say that fully clear gemstones with Golden hue give the best results for Brihaspati/Guru/ Jupiter. Each single gemstone in this lot represents the best of Jupiter energies and will give exceptional results to the individuals who finally possess these.